Ever since Liverpool manager elect Jürgen Klopp played alongside Bosnian international Zeljko Buvac at FSV Mainz 05 in the early 1990’s they have both remained close friends. And now according to the Liverpool Echo Klopp will bring Buvac to Anfield as part of his backroom staff. The now 54-year-old was an attacking midfielder who had spells with Rudar Ljubija and Banja Luka in Bosnia Herzegovina before moving to Germany in 1991, He played for Rot-Weiss Erfurt and then spent three years at FSV Mainz 05 with Klopp before signing for Neukirchen. 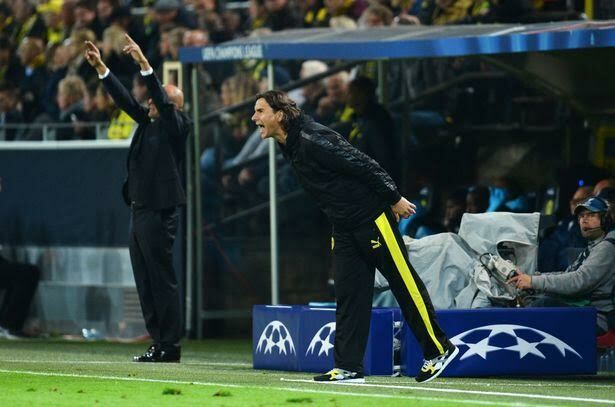 Following his retirement from playing at the age of 36, Buvac took over as manager of the then fourth-tier German club until 2001 when Klopp was offered the manager’s job at Mainz and asked his old friend to join him there as his assistant. The pair eventually moved to Borussia Dortmund in May of 2008 going on to win two Bundesliga titles with their exciting brand of attacking football that took the North Rhine Westphalia club to the Champions League final at Wembley in 2013 where they lost 2-1 to Bundesliga rivals Bayern Munich. Now united once more on Merseyside Liverpool fans will be hoping that the pair can recreate at Anfield the success they achieved at the Westfalenstadion.